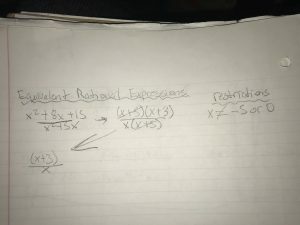 always pay attention to the signs and read the questions on the tests very carefully before answering as well as after you’ve finished your test make sure that you reread what you’ve written 2 or 3 times just to be sure that all the signs are correct and you have read the questions properly. pay attention to the right triangles in trigonometry and their ratios because if one side of the triangle is not in the proper place then your whole ratio will be messed up and your answer will be very different from the proper answer. 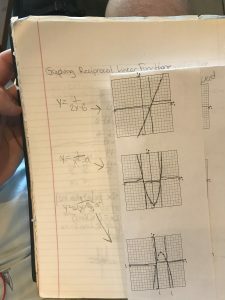 pay attention during the lessons because if you decide to sleep through a class or skip or slack off, it will catch up to you in the end and it will bring your grade down substantially. 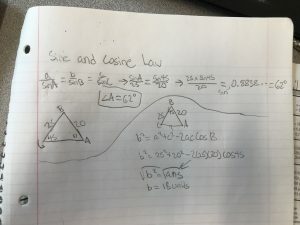 this week in math we learned about the sine law and cosine law, they’re used when you can’t solve a triangle with simple SOH CAH TOA ratios. 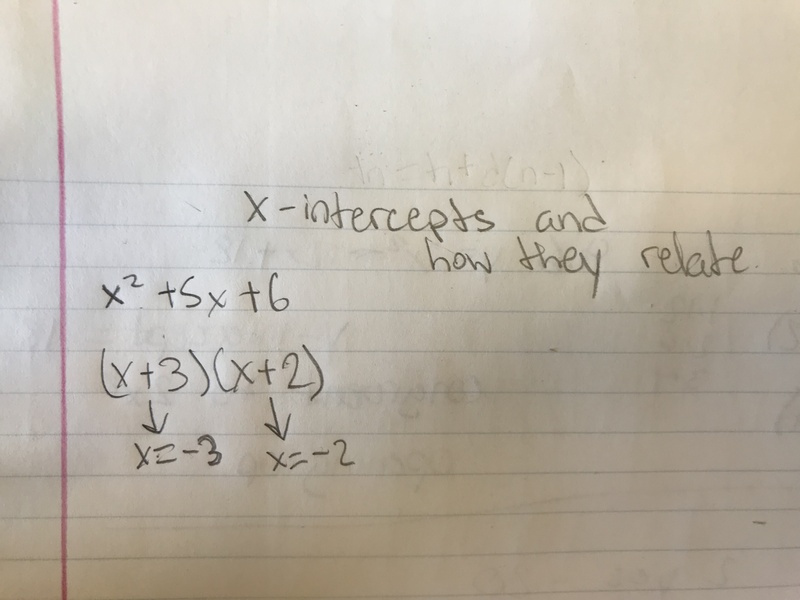 For the top side we have a pretty simple triangle and I show you the steps above and the reason I flipped the equation upside down is because of a trick I was taught, whatever you’re trying to solve whether it be a side or an angle have that on top, so if you’re trying to figure out a side keep the sides on top and if it’s an angle keep the angles on top, work smarter not harder. 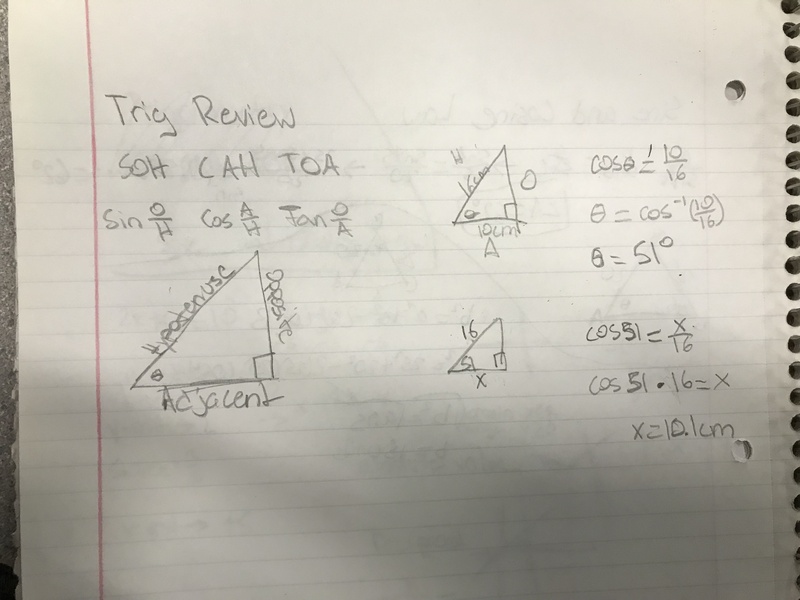 this week in math we did a little review of last years trigonometry unit and I wanted to share it with you guys. 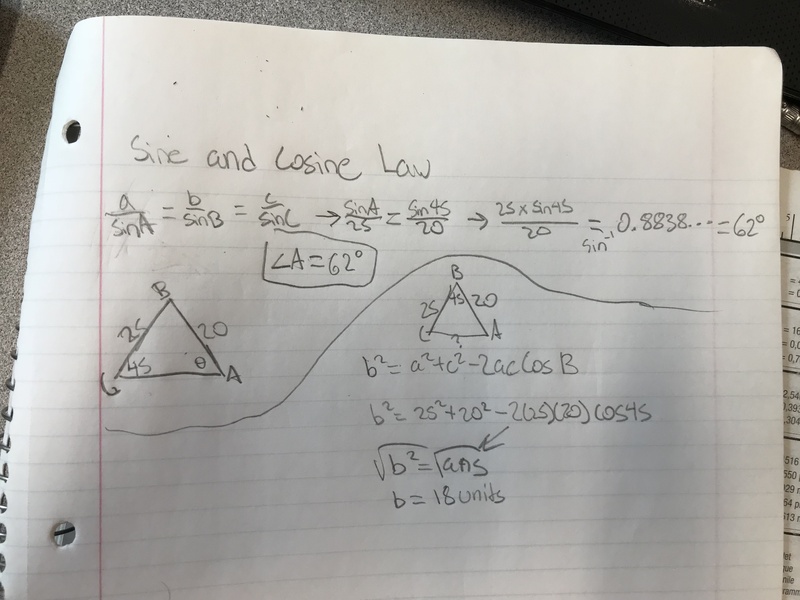 I have the sides labelled on the big triangle below as well as the ratios in between, naturally hypotenuse will be the longest side, adjacent will always be the side with the reference angle and the right angle, and finally opposite will only have the right angle on it’s side. 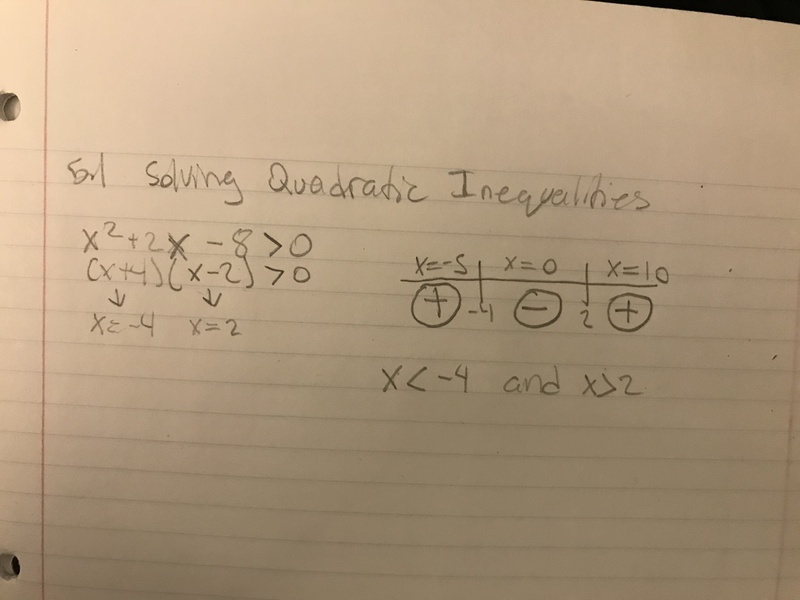 this week during math we learnt how to graph reciprocal linear and quadratic functions, in the picture above represented are 3 different ones. 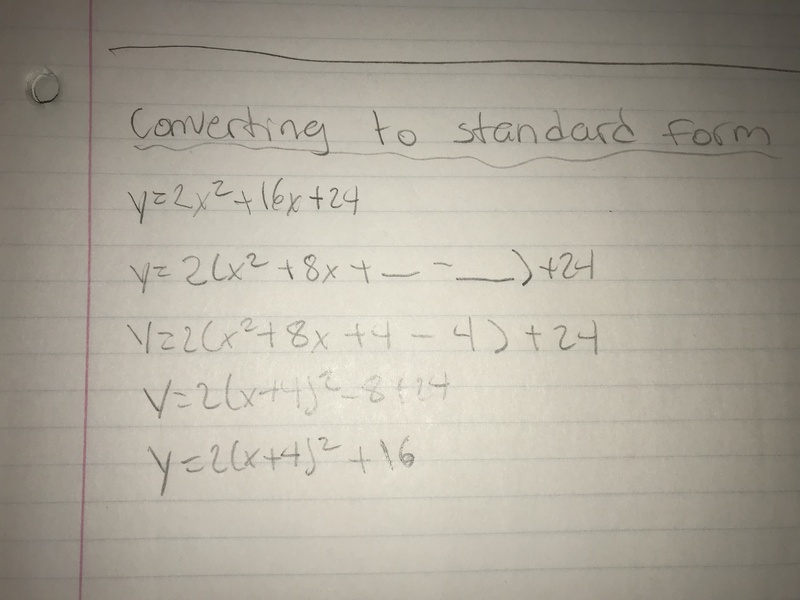 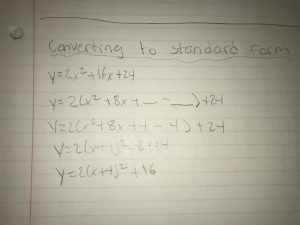 The first being linear the second being a simple quadratic function and the final being a more complex quadratic function. 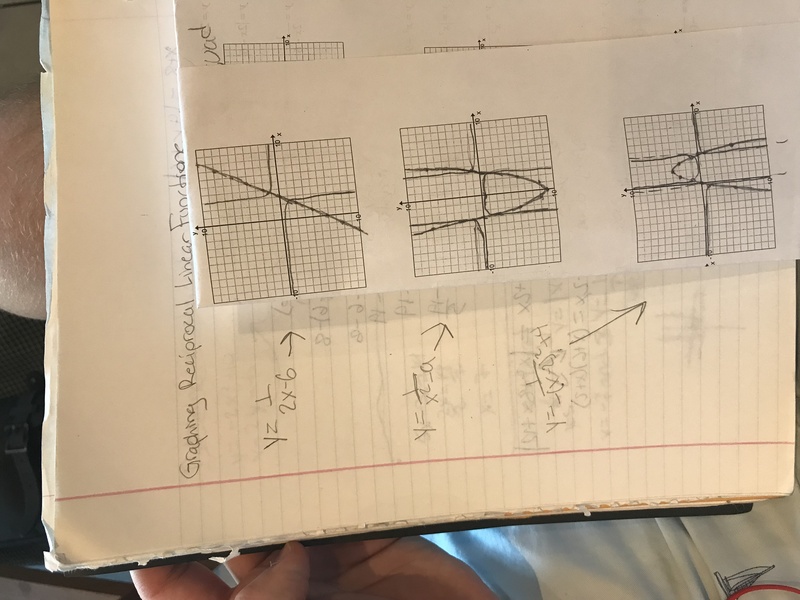 the key to reciprocal functions is making sure you know exactly where your asymptotes are located and they will correspond with your interveniant numbers which are 1 and -1 and with your restrictions they represent where the hyperbolas will be located. 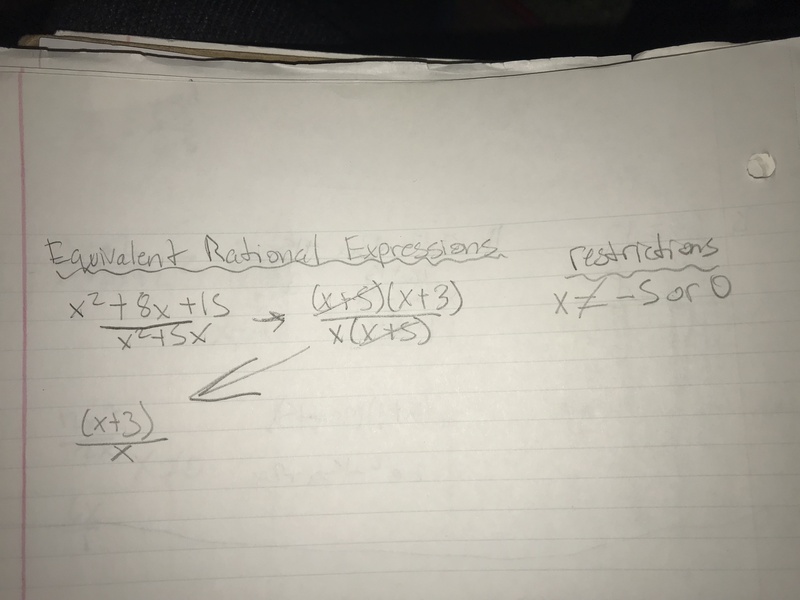 so for the first one x=3 and y=0 those will be our restrictions and the hyperbolas are set. 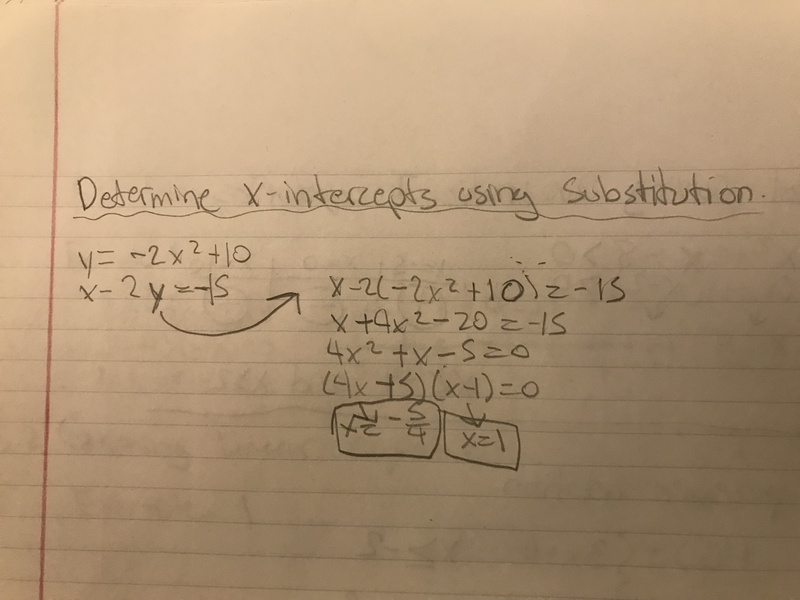 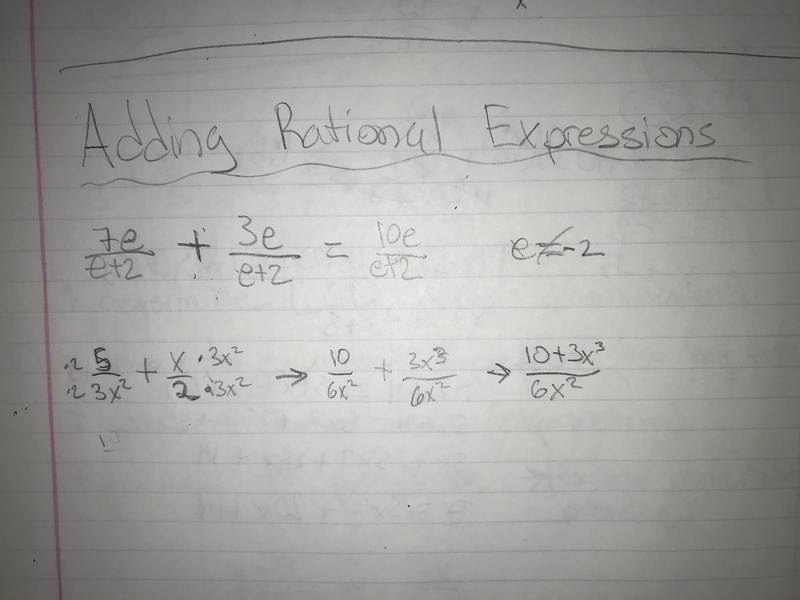 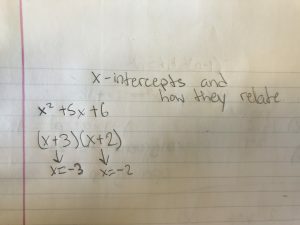 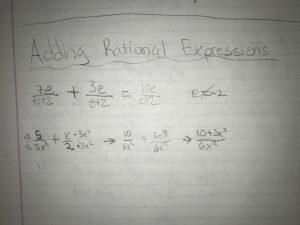 The discriminant is related to the x-intercepts in the way that the discriminant will tell you how many intercepts you may have but in the factored form you figure out what the intercepts really are.